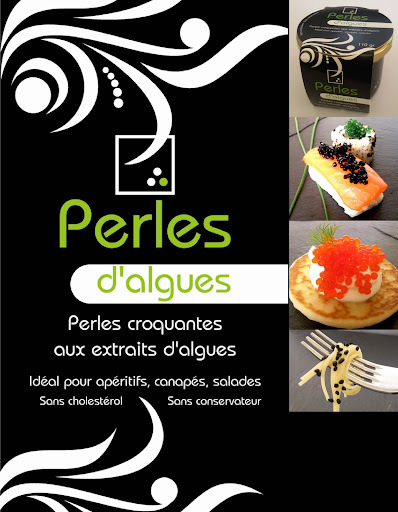 An innovative product has been developed by Sea Frais in answer to a market need for a vegetable alternative to caviar. This unique creation, based on seaweed extract, results in delicate pearls popping with the taste of the sea. It is a versatile product that can be used in both hot and cold recipes: canapés, salads, sushi, pasta, fish, and sauces. Not only is it an exciting and inspirational culinary ingredient, it has all the health benefits of seaweed. Alginates (brown seaweed extracts, Phaeophyceae Lamineria Hyperborea) (89.3% min), water, salt (max 4.5%), flavour enhancer, flavouring, antioxidants, stabiliser, natural colouring. 12 x 100g jars per carton. 308 cartons per pallet. Orders: Sea Frais sarl 1 Brion 50530 Genêts France.